In the Super Smash Bros. Melee community, how you play can matter far more than who you are. Recently, a top Melee player made his grand re-entry into the game’s competitive scene a little over a year after assaulting a Florida gas station clerk, causing a rift among fans and pros over whether it’s proficiency or personality that matters most. Layton’s appearance at EVO and reemergence in the national tournament circuit are dividing the Melee community. Hundreds of fans have debated Layton’s past, his actions, and whether he deserves a second—or third—chance to participate in Melee events and tournaments. Moderators of the /r/SmashBros subreddit had to delete or lock nearly a half dozen threads that grew too heated. In theory, Melee’s community is a rare, egalitarian enclave where skill beats out demographic or background, no matter how thorny. In practice, opponents of Layton’s new open-armed acceptance say this obsession with skill is sidelining concerns for safety, and especially women’s. And they say it doesn’t feel very egalitarian. Because Melee does not have any sort of official league or sponsorship from the game’s publisher, Nintendo, players and fans make the final call on whom to embrace and whom to ostracize. Layton has fallen into the former category. “I definitely have more people who like me than don’t like me,” he said. “I don’t think it’s a very good idea,” Melee commentator Kyle “Nightwing” Weis said when I asked if Layton should be allowed back into the community. Weis explained that the Melee scene has historically been forgiving of players with violent histories. In 2012, Canadian Melee player Ryan Ford (formerly “Unknown522”) was banned after placing another player in a choke-hold. Ford also allegedly had a history of violent outbursts. Fans of Ford’s highly technical Fox plays pushed for the community to accept him, spearheading the hashtag #FREEUNKNOWN. He continues to compete in national tournaments, and at EVO 2017, placed 17th. Top-six player William “Leffen” Hjelte has been banned from Swedish tournaments for displaying “poor sportsmanship” and bullying new and disabled players. After a year, and a long apology, he was allowed back in. Layton has been competing in the Melee community for nearly a decade now. Throughout 2009 and 2010, Layton consistently placed in the top 10 at national Melee tournaments, and back then, he was the chief Falco competitor. He once famously battled legendary player Jason “Mew2King” Zimmerman with a series of brutal aerial juggles and well-timed lasers. He never made big bucks as a pro—without Nintendo’s support, few Smash players do—but his raw talent led Smash fans to deify him. Layton also has a lengthy rap sheet. His court records in Collier County, Florida are twelve entries deep, reflecting a slew of alleged crimes committed between 2011 and 2016 that range from theft and battery to bogus small-fry infractions. In 2013, a court charged Layton with aggravated battery after his female housemate obtained a lacerated liver and fractured vertebrae in a fight. That charge was later dropped because, Layton says, he did not do it. In 2016, Layton punched a gas station clerk in the face, which he has admitted to, and allegedly threatened to slit the clerk’s throat, which Layton denies. After EVO in July of 2013, he took a four-year break from national Melee competition, in part because, as he says, he fell in with a bad crowd, committing crimes and spending several nights in jail. “When that incident happened,” Layton said, referring to the battery charge that was dropped, “I lived in a house where there was a lot of traffic being moved. There were all types of people walking in and out of my house. All types of drug dealers, angry people. Those were the type of people I associated with and hung out with.” Layton added that he grew up in a “bad area.” He recalled that, in his southern Florida hometown, neighbors’ air conditioners rarely stuck around for long. After Fox News reported in 2013 that Layton was suspected of assaulting his housemate, Melee community leaders backed away from him. Two years later, in 2015, Layton playfully tweeted a battle challenge to William “Leffen” Hjelte. “I’d love to 5-0 another has-been,” Hjelte responded, “but I’d rather not get stabbed.” Layton accused Hjelte of being scared of his Falco, adding that he’d never stabbed anybody. In June 2017, Layton announced his return to Melee. His new Twitch channel’s description reads, “DaShizWiz, the original Falco. 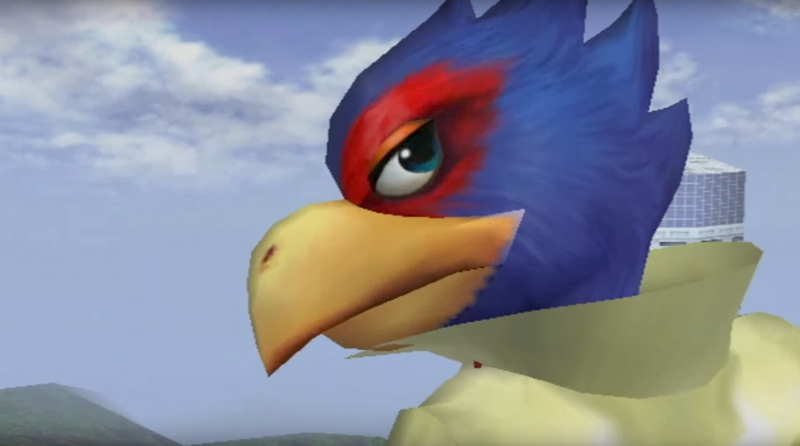 The Rawest Falco. THE WARRIOR. . . My return to smash is as a King returns to his Homeland.” In just one month streaming, Layton amassed an impressive 5,300 followers. Earlier this month, the Florida-based gaming product store Good Game Labs began sponsoring Layton. Soon after, Juan “Hungrybox” Debiedma, considered a “god” in the Melee community, flew Layton out to EVO with donations raised on his Twitch stream. Layton says fans had requested that Debiedma help send him to Las Vegas to compete. At EVO, Layton placed 33rd out of nearly 1,500. His match against Captain Falcon player Gahtzu, in which he used Falco’s laser to control Gahtzu’s movements with admirable accuracy, was hailed as one of the “Top 5 Upsets” that day. Neha Chhetri, a competitive Melee player, also spoke out against Layton’s re-entry in the community. Over the phone, she explained that the community’s hype over Layton’s return is just as threatening as his actual reappearance: “Football fans don’t care that the football players are beating up their wives in elevators. They don’t care. They want to be entertained.” Scarier than Layton’s personal life, she says, is the fact that several women’s fears are overshadowed by widespread fan excitement over the reappearance of Falco in Melee’s meta. Looking past Layton’s criminal history, there’s a deeper issue at stake: Without an official organization in charge of Melee tournaments and events, there’s no formal way for players to register their concerns over certain community members. After Chhetri and her friends’ complaints fell on deaf ears, she focused on taking action. She convened with peers in their private chat room, but they couldn’t come up with any solutions. She considered leading women’s boycotts, but what would that accomplish? “If we all boycotted? Nothing would change,” she said. Melee’s skill-dominated environment can have pros and cons. Daniel “Tafokints” Lee, a Melee commentator who writes for the site MeleeItOnMe.com, told me over e-mail that a core tenet of the Melee community is that it is welcoming to anyone. It’s an escape from real life, no matter who you are. But there’s a dark side to that. “Unfortunately, you get the other end where we justify poor behavior, even when against other community members, because they are a good player,” Lee said. Layton continues to train against top players and stream on Twitch like it’s his job. He says he’s done trying to convince people that he’s changed. Besides, his fans already appear to be convinced, calling him a “legend” on stream, a trend he started himself. “People are going to believe whatever they want to believe,” he said. “I don’t want to deal. If they walk past me and see me, I will great them and say ‘Hey. how are you doing?’ I’m not going to [say], ‘I really didn’t do that charge right there!’ They’re not gonna care.” In October, he’s planning on attending The Big House 7, a Melee tournament in Detroit. His attention is on the game, not his reputation. “How can I be threatening when I’m laughing and having a good time with Mew2King and Hungrybox?” he said. Correction (4:54pm): A previous version of this report said that Layton had admitted to threatening to slit the gas station clerk’s throat, which he has denied. A previous version of this report also mistakenly said that Fox News had reported that Layton stabbed his housemate. The report has been updated accordingly.